There is such a drastic increase in lighting during the holidays that NASA has picked up on it, according to a press release published by the U.S. space agency. 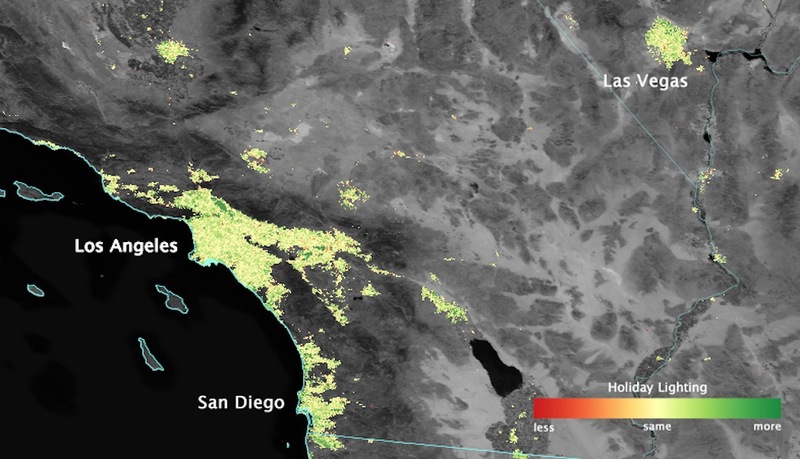 Specifically, the NOAA/NASA Suomi National Polar-orbiting Partnership satellite found that metropolitan areas increased 20 to 50 percent brighter during the Christmas holiday season and New Year's. "It's a near ubiquitous signal. Despite being ethnically and religiously diverse, we found that the U.S. experiences a holiday increase that is present across most urban communities," noted Miguel Roman, NASA Goddard research physical scientist. "These lighting patterns are tracking a national shared tradition."